You made the investment in a commercial facility. Your committed to sustainability and making the world a better place. How would you like to be more efficient? Hanging Hydroponics offers a system that allow you to grow big plants at a faster rate by eliminating that wasted space. With using traditional methods and a Hanging Hydroponics product you can easily get 4-6 crops per year as compared to 1-2 crops a year, which in return makes your warehouse operation 10x more efficient. 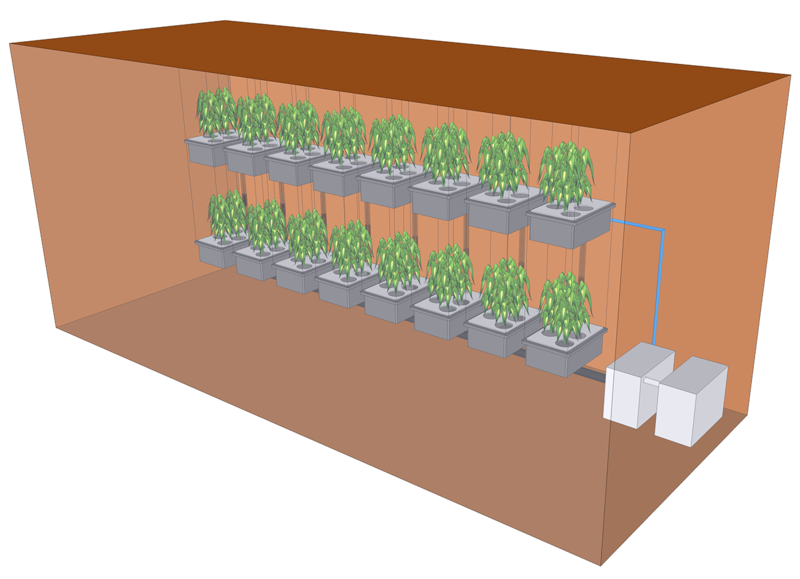 Customize your own Hanging Hydroponic system today by calling us at 720-496-4080, let our team of draftsman and hydroponic professionals help you design a new system or work with you on your existing inventory, light and equipment.